A necessity for any chef's kitchen. Perfect for keeping your pies staying fresh. The high dome provides ample room so that the top of the pie does not get squashed by the cover. The pan is constructed of even heating rust proof aluminum and features a galvanized steel wire around the rims for added strength. 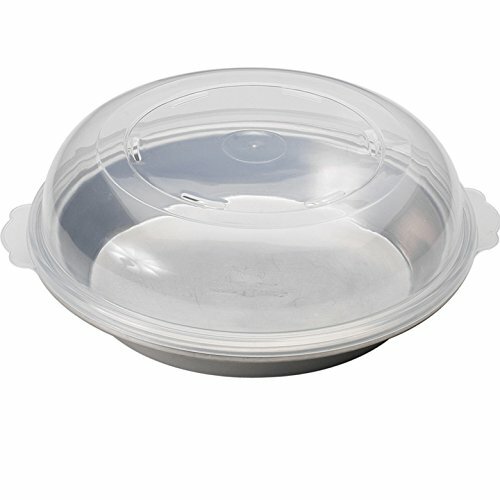 The 10 inch pie pan comes with a domed plastic cover which allows room for toppings on pies. Proudly made in the USA by Nordic Ware.